—our search solution for e-commerce websites—our focus was on improving search quality and speed to help online shoppers find what they’re looking for. Retailers such as Woodcraft Supply, BabyAge.com and HealthWarehouse.com implemented Google Commerce Search on their respective websites; Woodcraft increased search revenues 34 percent, BabyAge increased site searches 64 percent and HealthWarehouse saw online conversions increase 19 percent—and all have reported an increase in customer satisfaction. Today we’re building on the capabilities that have proved useful to our retail partners with the third-generation Google Commerce Search (GCS). With this new version, we hope to help create an even more interactive and engaging experience for shoppers and retailers. L’Occitane is unique in that our beauty products center around ingredients—such as lavender, shea butter and verbena. As our customers visit our re-designed website to shop and research our products, we’re excited about the speed and accuracy of on-site search results that will be provided to us through Google Commerce Search. We’re also very excited about the possibility of the new local inventory feature, which can help us connect our customers with their favorite products in one of our 170 U.S. boutiques. For more information, visit google.com/commercesearch. When we first introduced Google Commerce Search—our search solution for e-commerce websites—our focus was on improving search quality and speed to help online shoppers find what they’re looking for. 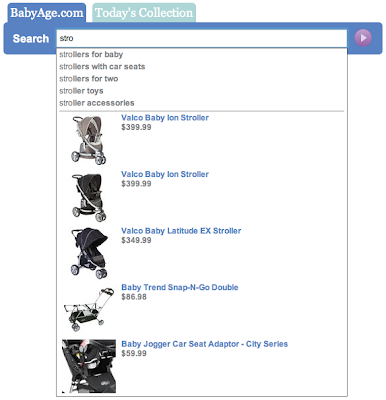 Retailers such as Woodcraft Supply, BabyAge.com and HealthWarehouse.com implemented Google Commerce Search on their respective websites; Woodcraft increased search revenues 34 percent, BabyAge increased site searches 64 percent and HealthWarehouse saw online conversions increase 19 percent—and all have reported an increase in customer satisfaction.